Our logistics staff provides exceptional customer service and expert knowledge of the industry. Accurate and timely processing and scheduling of shipments is the first step to ensuring on time delivery. With experience providing logistic services by rail, vessel, truck and pipeline, Murex can offer outstanding results across any shipping platform. Our professional staff provides suppliers and customers with products and services that exceed their expectations. 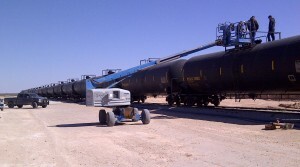 Whether our customers need to market or purchase Crude Oil, Domestic Ethanol, Export Ethanol, Methanol, Other Gasoline Blendstocks, Renewable Identification Numbers (RINs), or assistance with Business Development and Risk Management, we have established decades-long relationships within the industry. Murex uses this in depth position, along with understanding and knowledge of the marketplace, to provide unparalleled value to our customers and suppliers. For contact information or information on a specific product, please contact us. Our Accounting and Finance Departments are responsible for the accurate and timely management of Murex’s financial and credit activities. They maintain close communications with major banks, financial institutions, and insurance companies, allowing Murex to respond quickly to the needs of our customers and suppliers. For bill payment, transmission of Form W-4 for new vendors, or payment history, please contact us. For credit and accounts receivable information, please contact us.